Hi! MrKaspersson here again, today i'm posting something MIND BLOWING. 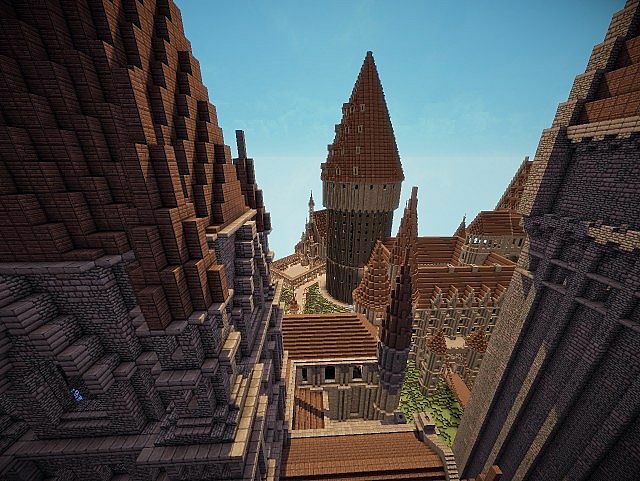 Can i introduce you - the best Hogwarts ever recreated in Minecraft. It has so much in it, it's as accurate and detailed as it can get! From the above (in green), those are the areas completed, although there could be missing. It's not like he forgot it, it's that he probably is pressured by users to make the download available. 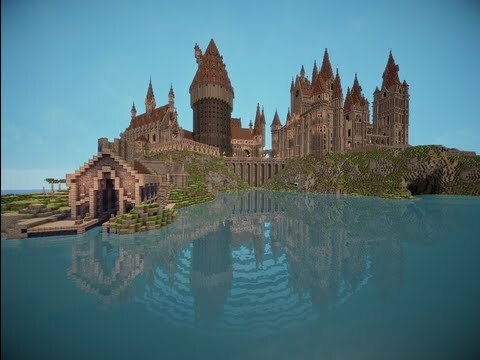 Because I used Bedrock Edition Version of Hogwarts (on MCPEDL), I am able to know the surroundings and use other maps on PMC to update on the build. When I have a download available (I don't know when), it requires 1.14 or later (depending on when...) I'll create a post soon. UPDATE!!! I'm still working on most of the details on MrKaspersson's Map, I've made some of the classrooms, common rooms and other details in Hogwarts Exteriors and Tri-Wizard Tournament locations; I really hope that MrKaspersson is still working on this recreation, 'cause it's outstanding!! !, but anyway I will keep doing more details and locations. Please add a slytherin Hufflepuff and ravenclaw common room PLEASE!!!!!! Alright, I am working on this map, since it never was updated for five years. Worked on it for nearly eleven hours yesterday on finishing the four houses, adding the dungeons with the potions lab, worked on the Hospital Wing, and started on the clocktower. I don't know when to release that update yet, but it will be whenever. No mods, and it will require 1.14 snapshots as of right now. Just a heads up! I also added some more information at the spawn location. Still some missing bits, but I will work on those more. 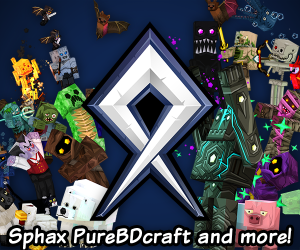 If you have any ideas, please contact me by reply or in my message wall on either my wiki (DieselDorky16 Wikia) or through other means on planet minecraft! 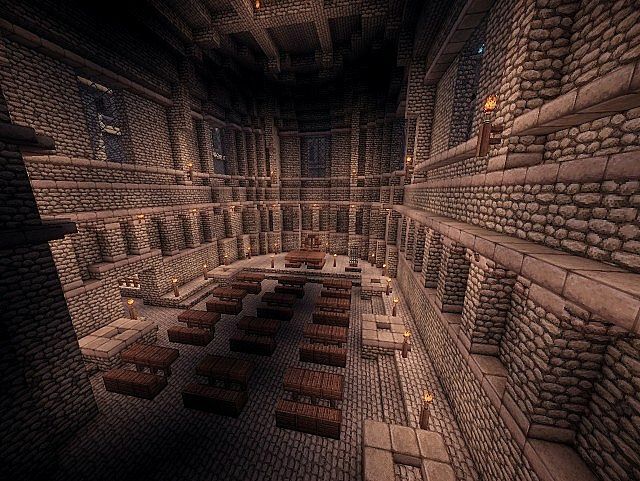 HELLO, I've made most of the common rooms but I'm missing the Raveclaw's CR, I really haven't found any blueprint or something like that to have an idea of what it looks like, but I'm adding more interior details and also I'm using "Custom NPC's" mod for some Hogwarts characters. Hey thanks for the link, I had already seen the outstanding work made by TheFlooNetwork and I think some locations are not 'that' realistic and very cartoony, so yeah I'll have their work side by side with my modification to MrKaspersson map and see what are the final results. Where is the Slytherin, Hufflepuff and Ravenclaw room? It's a good map, but it is REALLY unfinished. I would love to see a finished version. I'd love to see Slytherin's common room! Um can you make a mcworld link for the download? Any update on this project? 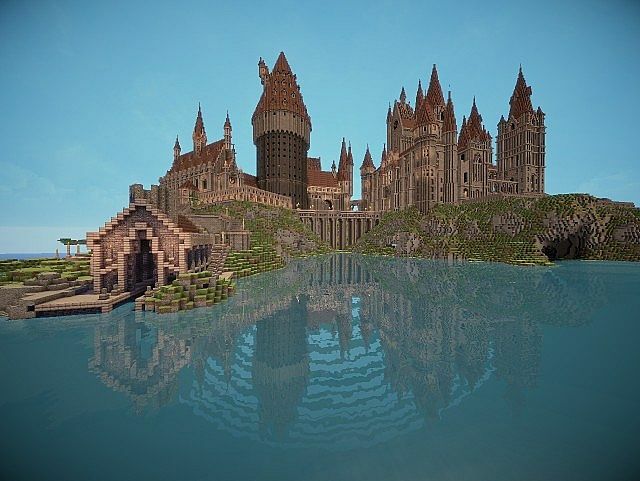 All Hogwarts builds just die off..
Could you please clarify what version o Minecraft this map runs on. When will hogsmead come out? Does it work with mods? 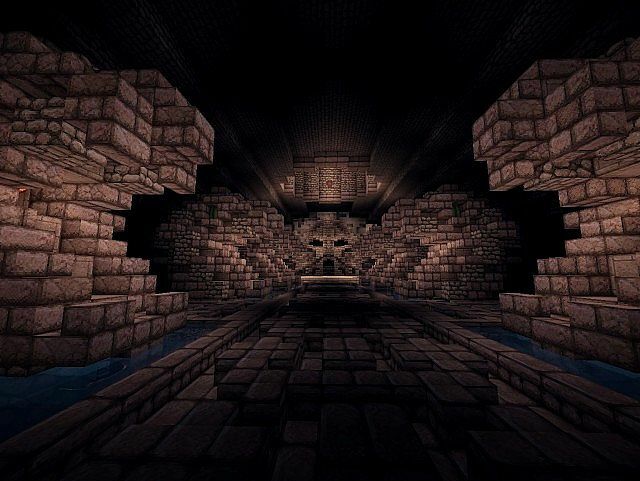 I'm looking for a good map to mess around on with my hidden room mods, and this one seems good,especially since I like Harry Potter. Just tested it. 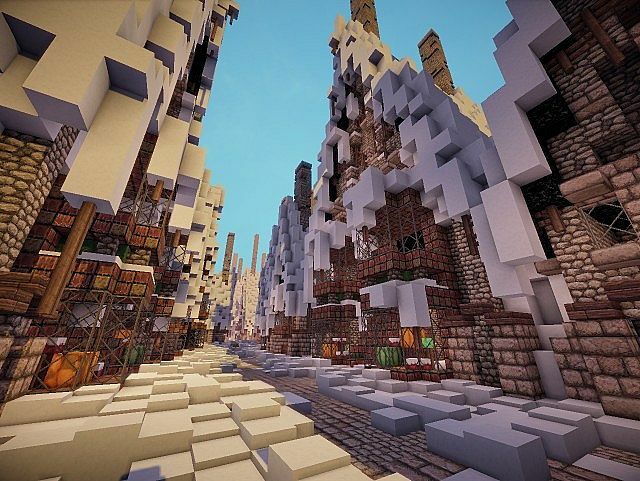 Both map and texture pack work with mods. Potions classroom, Snape's office. Also, THIS IS AMAZING!!!! THIS IS SO BLOODY COOL!!!!!!!!!!!!!!!!!!!!!!!!!!!!!!!!!!!!!!!!!!!!!!!!!!!!!!! YOU HAVE DONE and are doing AN AMAZING JOB!!!!!!!!!!!! I don't care how long it takes for you to finish building this because the wait is so worth it!!! 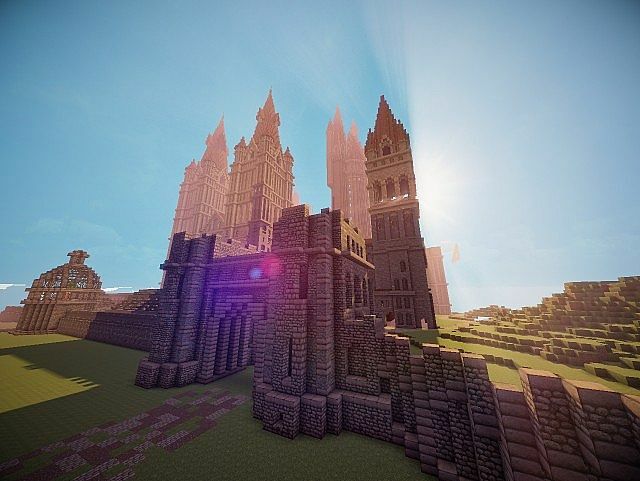 Question though, do will you make the Potions class, Aragogs Lair and the Secret Passageways eventually? I'm a noob to all of this. 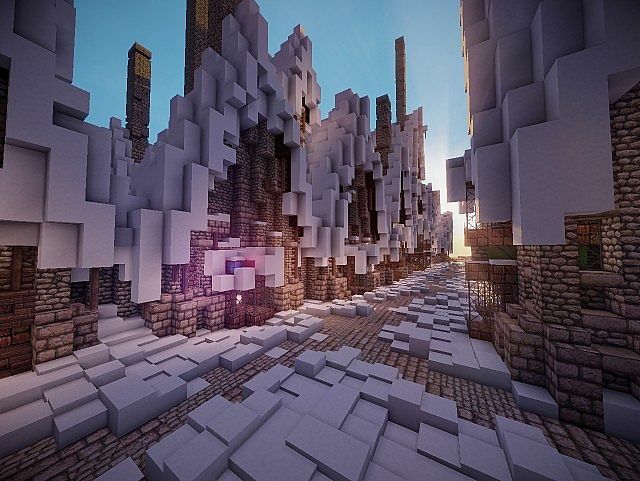 How do I get this to work on my minecraft on my iOS system? HELP!!!! I don't think you can. Unless there is a saves folder were your worlds are stored, you can't download maps. Is this available for ps4? From the original, around 1.6 or 1.7 Can't say. The modified one I am working on myself, requires (as of 13 January, 2019) 1.14 snapshots. So incredible. Your work is astonishingly beautiful, and your attention to detail makes my Potterhead heart sing! My father are working on finishing this up (well, the basics, at least) and having so much fun! Thank you! You need to add the Burrow!!!!! Your version is nice, but not as accurate as you think. So, it's maybe pretencious to call it "perfect recreation". However, it's a good version. You need to add Hogsmeade! 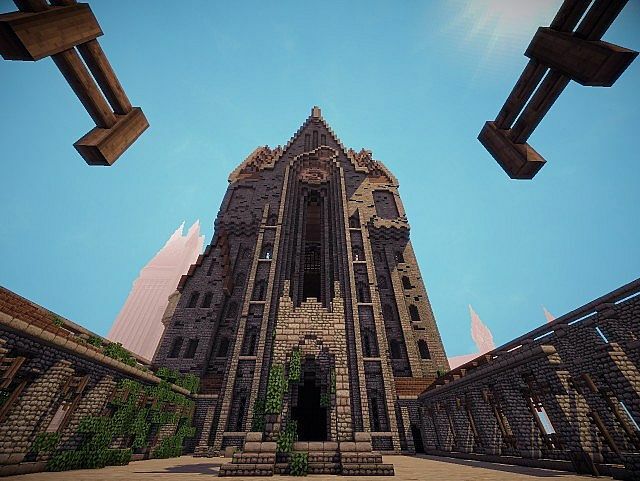 What is the version of Minecraft it is built on? Sigh, the bridge do not exist in the books. This is a book creation. Mrkaspersson is not done with the lake and everything around it, yet, and that includes the Hogsmeade Station. He did not "forget" to add anything. I can't make it work, every time I click skip adds on the adfly page, to get to the zip file, it just deletes the tab and sends me back here, Help!!!!! This is definitely the best recreation I've EVER seen! I hope you continue (or are continuing) because it's phenomenal! What I would really like to see added is the other common rooms, if you've read the book you'll find descriptions on the Slytherin and the Ravenclaw ones, while on https://www.pottermore.com/ you can answer the quiz in the way so that you're a Hufflepuff (answer as if you were noble, trustworthy, friendly, want to be most known for being friendly, etc. not saying you aren't those things though) and under 'more about my house' you can find a description of the Hufflepuff common room (it is not presented in the books or movies). If you had the kitchens that would also be swell! But overall, well done and good luck with this! There is no long bridge in the books. The Transfiguration classroom seems to not be included, and also are you going to add the secret passageways and whomping willow? Did I seriously say Transfiguration! I meant Divination, and you can't possibly do the Malfoy's Manner without The Burrow included in the mix! Diamond and subscribe! This is amazing! Where is the Hogsmeade village? I HOPE THAT YOU COMPLETE IT SOON! Omg can't wait till its done!